Mathew came to Indiana from Mason County, Kentucky, in 1832 and lived in Troy Township, Fountain County, until emigrating to Iowa in 1852. This entry was posted in Fountain County and tagged Barcelo, Bell, Booth, Guinn, Henderson, Maddox, Shrader on September 19, 2014 by oahblog. Oscar started west in the spring of 1850. He started from Bloomington, Monroe County, Indiana, overland to Columbus, then by railroad to Madison, by steamboat to Louisville, Kentucky, and another steamboat to St. Louis, Missouri, then by another boat to Kansas City, Missouri, where his parents and family met him. It then took them nine months to cross the plains. He had a gold stake for a while. Then he became a printer for several publications. He was the Deputy Collector of Customs at San Pedro and a member of the Los Angeles City Council. Macy Street in Los Angeles is named for this family, since the only house on the street for many years was the Macy’s house. This entry was posted in Knox County, Monroe County and tagged Bell, Macy, McLean, Polk, Whitney on September 19, 2014 by oahblog. Obed came to Liberty, Union County, Indiana, in August 1818. He also lived in Bruceville and Oaktown, Knox County, Indiana, before emigrating in 1850. His son Charles died of cholera near the South Platte River on the California Trail. Obed was a medical doctor in Bruceville, and the first medical doctor in Los Angeles. The family crossed the plains in 1850, arriving at San Gabriel Mission on 1 January 1851. They camped two months at San Gabriel, and then moved to El Monte. In 1852, the family moved to Los Angeles, where Dr. Macy bought the Bella Union Hotel. They lived on the northwest corner of Los Angeles and Commercial Streets. Dr. Macy then procured a site on the Zanja Madre at what is now the corner of North Main and Macy Streets, where he built a low spreading building. This entry was posted in Knox County, Union County and tagged Barnard, Bell, Cheesman, Evans, Foy, Macy, McQuade, Polk, Sullivan, Woodruff on September 19, 2014 by oahblog. This entry was posted in Cass County, Montgomery County and tagged Belew, Bell, Carr, Cox, De Moss, LaRose, Maiben, McCoy, Melinger, Pearson, Powell, Skinner on July 17, 2014 by oahblog. According to Thomas B. Helm’s History of Cass County, Indiana, Thomas and Permelia were among the founding members of the Twelve Mile Christian Church and donated land for the first church building. This entry was posted in Cass County and tagged Arthahultz, Ballou, Belew, Bell, Bockover, Clary, Coil, Conrad, Cox, Crooks, Han, Johnson, Pickrell, Skinner on July 17, 2014 by oahblog. 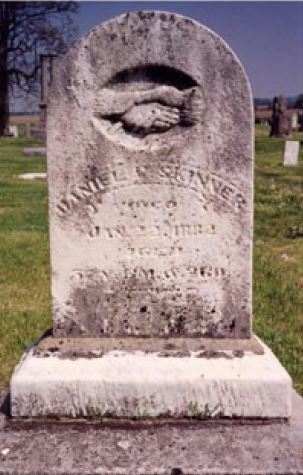 Skinner’s obituary in the Logansport Weekly Journal (10 April 1880) states that he moved as a youth with his parents to Ohio, then in 1836 with his family to Adams Township, Cass Co., Indiana. His funeral was one of the largest in the township. 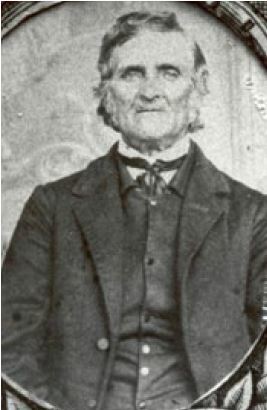 Thomas B. Helm’s History of Cass County, Indiana, states that Thomas and his wife were among the founding members of the Twelve Mile Christian Church and donated land for the first church building. Jennie’s father, William Cyrus Comer, was also born in Indiana. 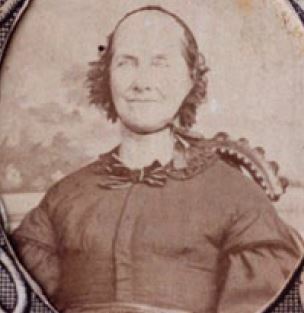 Her mother, Sarah Jane “Jennie” Gleason was born in Michigan, but lived in Indiana as a young woman. Jennie’s mother died following childbirth, and Jennie was sent to her maternal grandparents in Ottawa County, Michigan, to be raised there. She returned to Rensselaer, Jasper County, Indiana, at age nine in 1900 to live with her aunts, Mary and Lizzie Comer, at their boarding house on South Cullen Street. She stayed there until adulthood. Jennie left Indiana in 1912 to attend nursing school in Chicago but returned again to Rensselaer to work as a registered nurse at Jasper County Hospital following her graduation. There she became re-acquainted with her husband-to-be and former classmate, Orval Hamilton Crisler. They married in 1920 and quickly were parent of five children. In 1927, the family moved to Waukegan, Illinois. Later they moved to Chicago, then to Glen Ellyn, Illinois. Following her husband’s retirement, they moved to Dunedin, Florida. 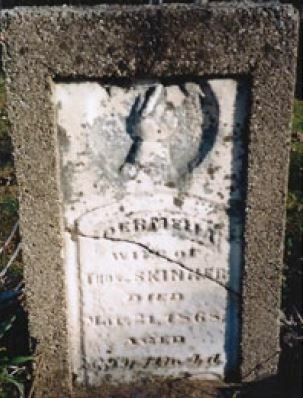 At her death at age 94, Jennie’s body was returned to Rensselaer, and she is buried there next to her husband of 65 years in Weston Cemetery.